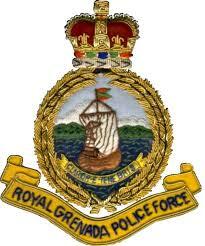 The Royal Grenada Police Force (RGPF) reminds the public that it is an offence to possess counterfeit currency and to claim upon a forged document. The reminder is being issued against the backdrop of recent charges brought against Colley Bubb, a 58-year old vendor of Balthazar, St Andrew. Bubb has been charged with the offences of attempting to claim upon a forged document and possession of a counterfeit coin. The offence was committed on 1 September 2018. The accused was granted bail in the sum of $8,000 with one surety and he is set to appear at the St George’s #1 Magistrate Court on Friday, 28 September 2018. The RGPF urges the general public to exercise utmost vigilance and caution when exchanging currency for goods and/or services. The RGPF specifically cautions bus and taxi drivers, shopkeepers and other vendors to avoid being a target of persons using counterfeit currency. Persons coming into contact with any suspensive counterfeit currency, whether coin or note, are advised to immediately contact the Financial Intelligence Unit at 435-2373/4 or the Police Headquarters at 440-3999 or CID at 440-3921. Persons charged with intent to defraud by counterfeiting or falsifying any coin, or who imports or exports any counterfeited or falsified coin shall be liable to imprisonment for 5 years. Persons who are convicted of being a common coiner, or a repeat offender of this particular offence, shall be liable to imprisonment for 15 years. Persons are reminded that these offences would be prosecuted to the fullest extent of the law.